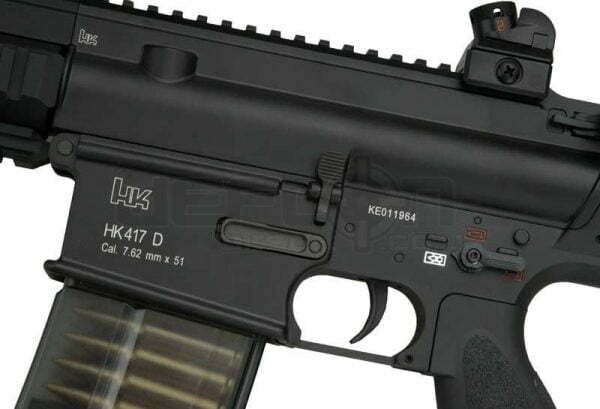 The replica of the Heckler & Koch Rifle 417D is made in 1:1 scale and reflects all details of the real firearm and weighs the same. 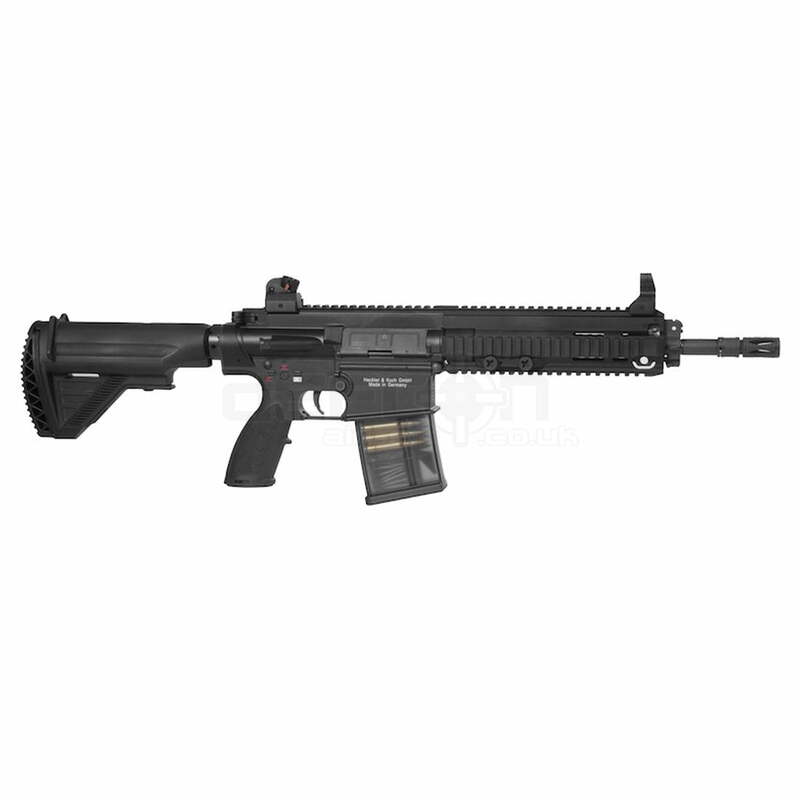 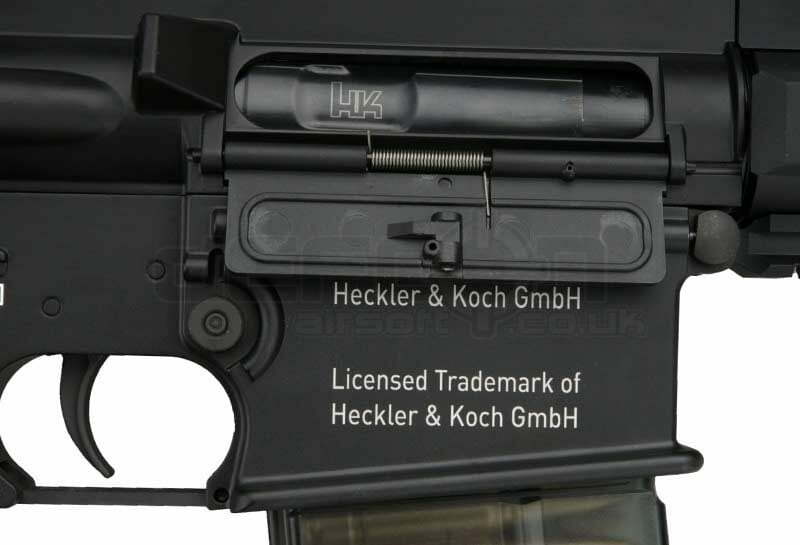 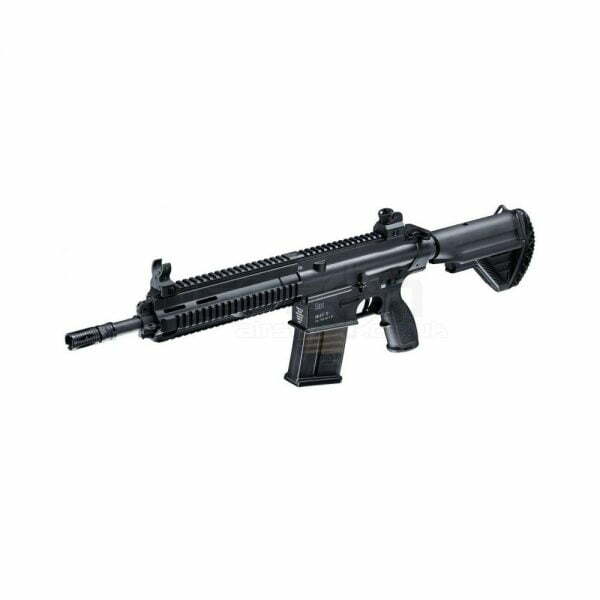 The Heckler & Koch HK417 is a battle rifle designed and manufactured in Germany by Heckler & Koch. 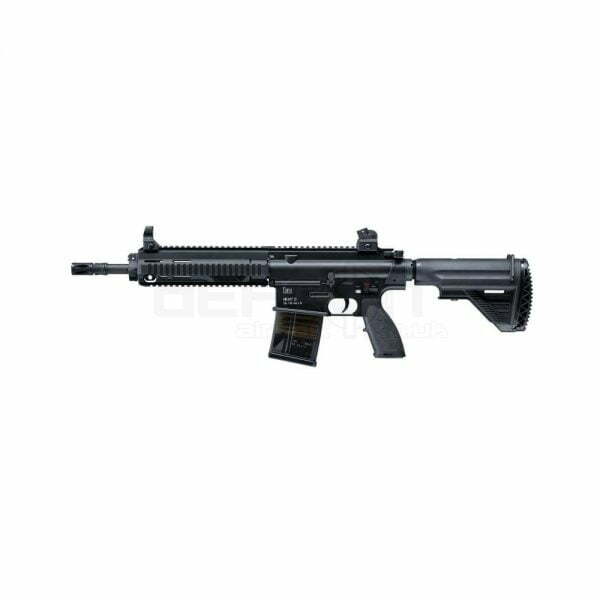 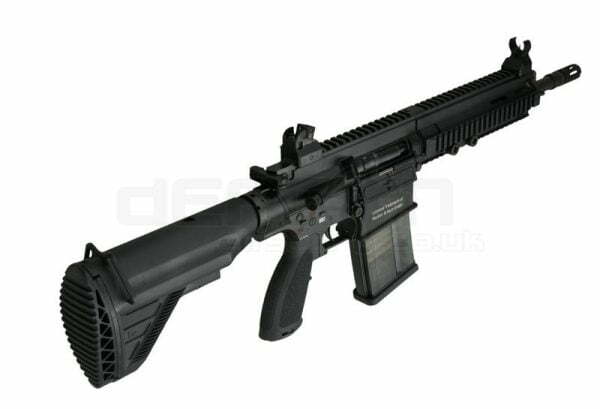 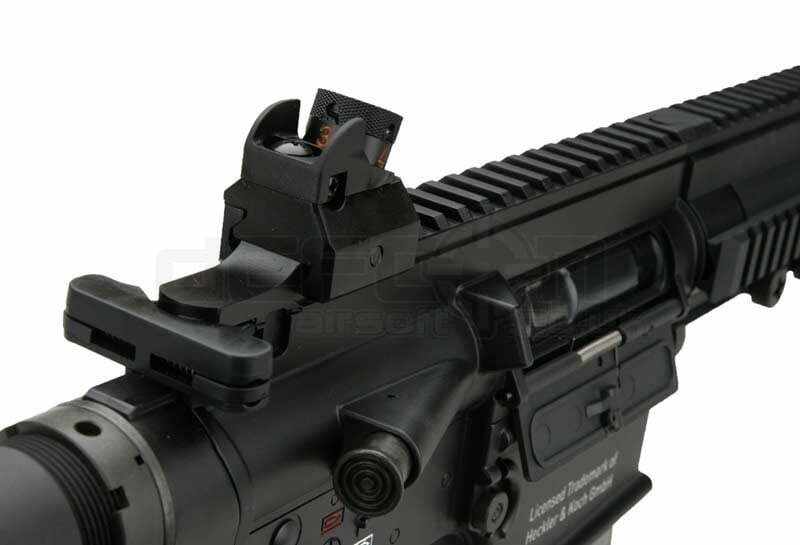 It is a gas-operated, selective fire rifle with a rotating bolt and is essentially an enlarged HK416. 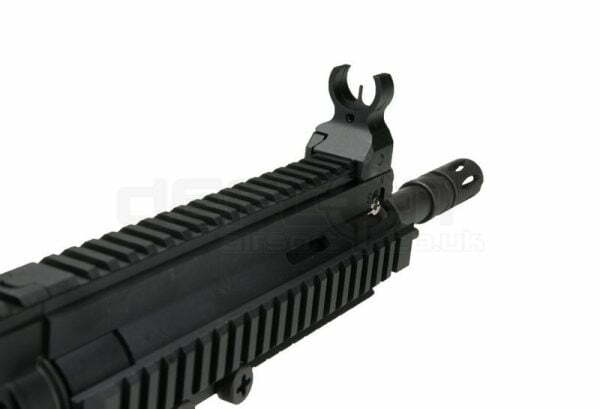 Chambered for the 7.62x51mm NATO round, it is intended for use as a designated marksman rifle, and in other roles where the greater penetrative power and range of the 7.62mm round are required. 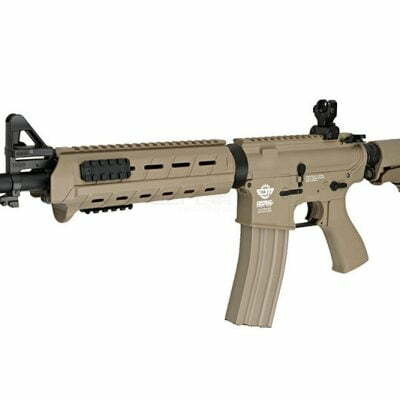 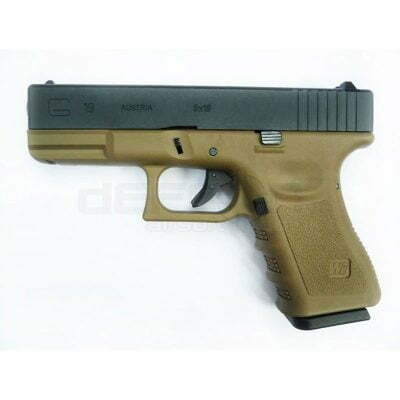 It has been adopted for service by a number of armed forces, special forces, and police organizations.